This short independent, experimental study shows the immense power that the Learning in Depth program can have on student learning. I look first at how different LiD teachers introduce the program to their students. My investigation of students’ development as they learn and ask questions about their LiD topics provides evidence of the distinctive ways in which students are thinking and making sense of new knowledge. 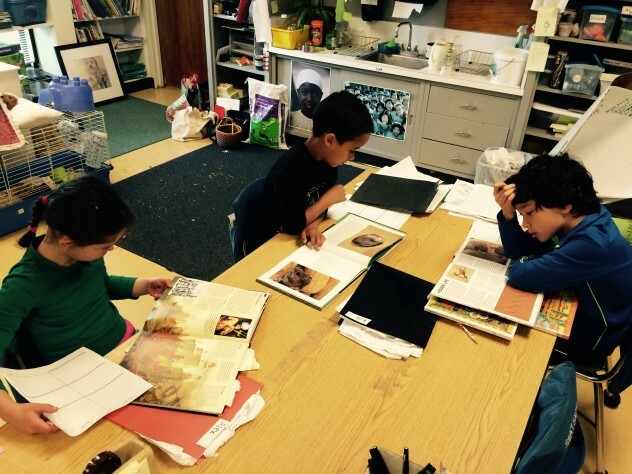 This year, two classrooms at the Smith College Campus School (Northampton, MA) have taken on their own approach to integrating LiD principles to their curriculum. 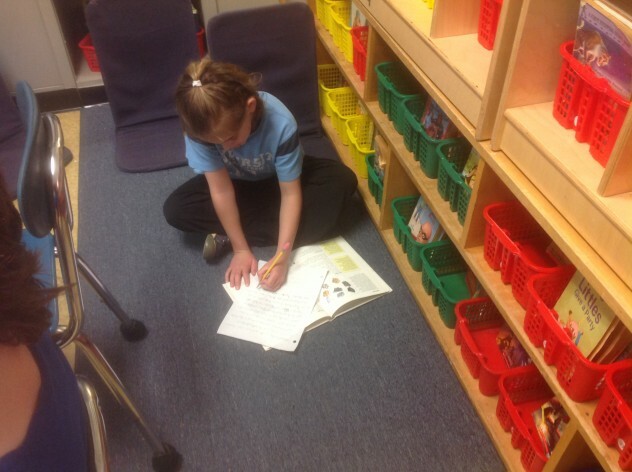 Gina Bordoni-Cowley’s first graders were assigned topics at the beginning of the school year and have allotted a time every Thursday to explore their topics in the classroom. Ms. Cowley introduces every LiD investigation by engaging in conversations with her students about the different approaches they can take on to begin exploring their topics. She provides support for students as a whole as they embark on their individual discoveries. For instance, to get them started with LiD, Ms. Cowley modeled how she began thinking about her own topic (Apples): she explained to her class how she already knew a lot about apples, but there were so many questions she had as she started thinking deeply about all the things that can be related to her topic! This provided them with the fuel they needed to begin their LiD experience; they wrote about what they already knew and what they wondered. By the end of this first day, students already had a list of questions about their topic that could guide them in their independent learning. 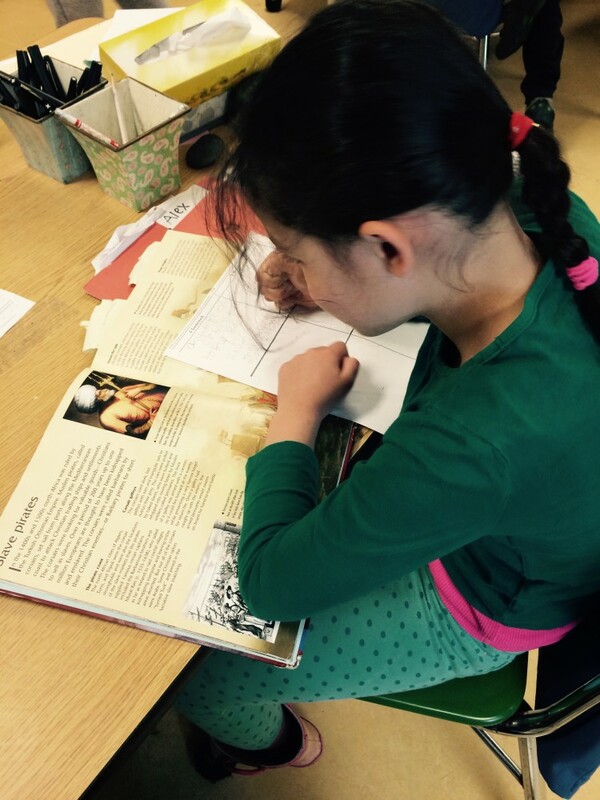 Students in Ms. Cowley’s class have been using a number of resources to learn more about their topics. From books and online resources to interviewing real experts, they have been compiling a great amount of knowledge throughout the year. Every time that I visit her classroom during LiD time, there is no lack of enthusiasm and children seem to be completely drawn into the new discoveries they are making. By looking closely, documenting, and analyzing students’ work, their questions provide evidence of the development of their thinking. For example, one of the first questions a student wrote about the topic of bears was, “I wonder if bears climb up trees?”. After months of engaging with and learning about his topic, the questions that guided the student’s research in March show how deeper understanding about bears allowed him to come up with a more sophisticated question, “Are Black Bears faster than Grizzly Bears?”. The specificity of his question shows evidence that exposure to LiD principles created an environment for this student to think about two species of bears, and what makes them truly different. Janice Szymaszek’s third grade classroom began their LiD with an opening ceremony in February where students were granted a topic that related to their yearlong study about water. Similar to the first graders, Ms. Szymaszek provided students with a little structure at the beginning that helped them start thinking about what they knew or wondered about their topics. While she did not explicitly model with her own topic, Ms. Szymaszek created a LiD time in their schedule for students to work independently on their topics. However, students’ enthusiasm and the overlap in their topics developed into amazing conversations about discoveries and even whole group discussions about different approaches to thinking about knowledge and information. 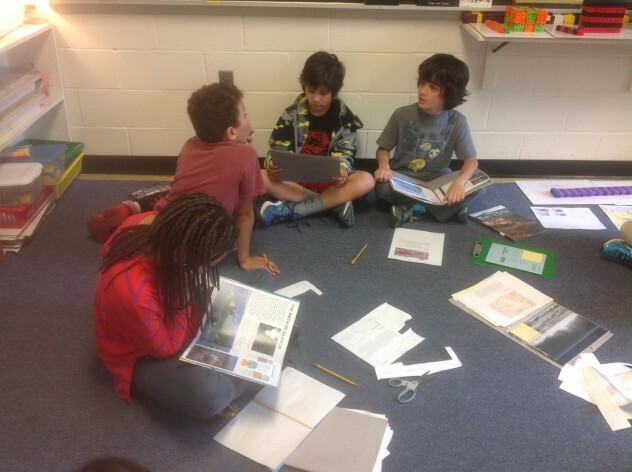 It was truly remarkable to see several instances where one student would share a discovery, resource, or question with someone else who was becoming an expert on a different topic. For instance, a student who was studying Antarctica shared a book that had a lot of interesting information about polar bears with a peer who was studying aquatic mammals. Another student brought in some precious rocks she found in a store so that a classmate who was becoming an expert on rocks would be able to observe them. While LiD is meant to be an independent project, a collaborative and energetic community developed that was deeply interested in learning more and digging deeper into the topics. With this short independent, experimental study, my aim is to raise awareness of the incredible potential and influence of LiD in the classroom. I documented three different learners’ process of making their thinking visible as they developed questions that guided their research. The most fascinating discoveries about deep learning were made visible through the interviews I had with these students. The power of LiD goes beyond a students’ individual topic sparking enthusiasm for learning and giving them experience with skills needed to become a deep, curious learner. This approach has the potential to affect students as thinkers and learners as they engage in deep conversations making connections with new knowledge and coming up with sophisticated questions to guide their research. 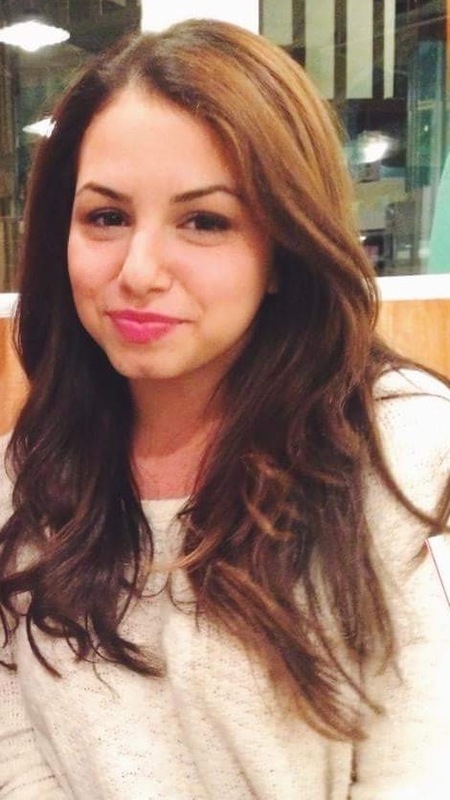 My name is Yamanda Kaychouhi Boukmakh and I am a Smith College graduate with a B.A. in Education & Child Study and a minor in Psychology. I have been exposed to Dr. Kieran Egan’s work on Imaginative Education and Learning in Depth from the beginning of my college career, and have had the opportunity to work for a National Science Foundation Grant led by Glenn Ellis and Al Rudnitsky that uses online learning adventures and imaginative narratives to engage middle school students in engineering education. For my senior independent study, I decided to explore the implementation of LiD in two classrooms at the Smith College Campus School where I had completed my teaching practicums. The focus of my project was to document and look closely at the questions developed by the students to provide insight of how their thinking and understanding is developing through the LiD program. The Walking Curriculum Colouring Page!